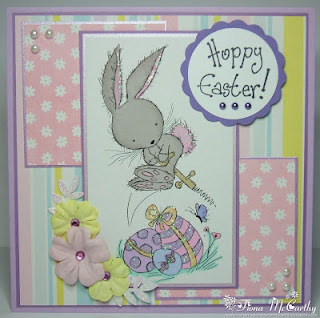 As Easter is this coming weekend Doreen would like to see your Easter creations. 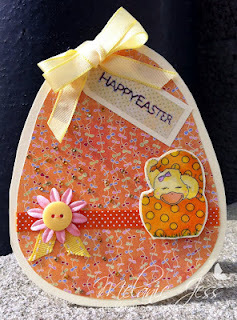 Cards, Scrap LOs, Altered Art, Bookmarks, Tags, whatever you fancy as long as it has an Easter theme. 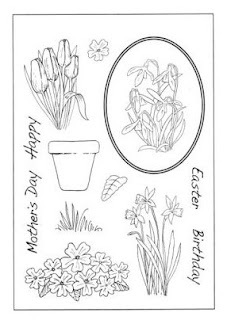 Judy and Joy We are also delighted to be sponsored by Hobby Art with two gorgeous stamps sets as their prize. For my Easter card I have used a LOTV stamp coloured with ProMarkers and lots of added stickles to the eggs.The sentiment is a Personal Impressions stamp. All of my papers are from my scrap box.Flowers,pearls and gems are all from my stash. I've used a beautiful Digi Doodle Shop image, colored it with blender pens and ink, then scrunched it up and added gold glimmer mist. 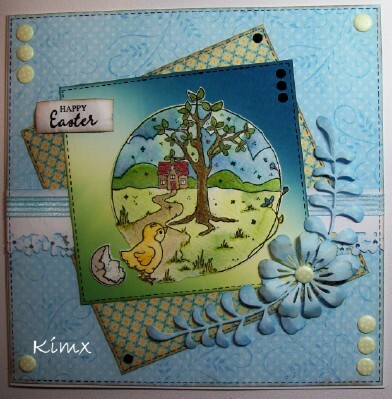 I used a beautiful image from Digi Doodle Shop, coloured with Promarkers, a Spellbinders die to cut a mat, some ribbon and a peel-off for the sentiment! I have made a pillow box out of parchment for my Easter project. I shall fill it with mini eggs for a present. 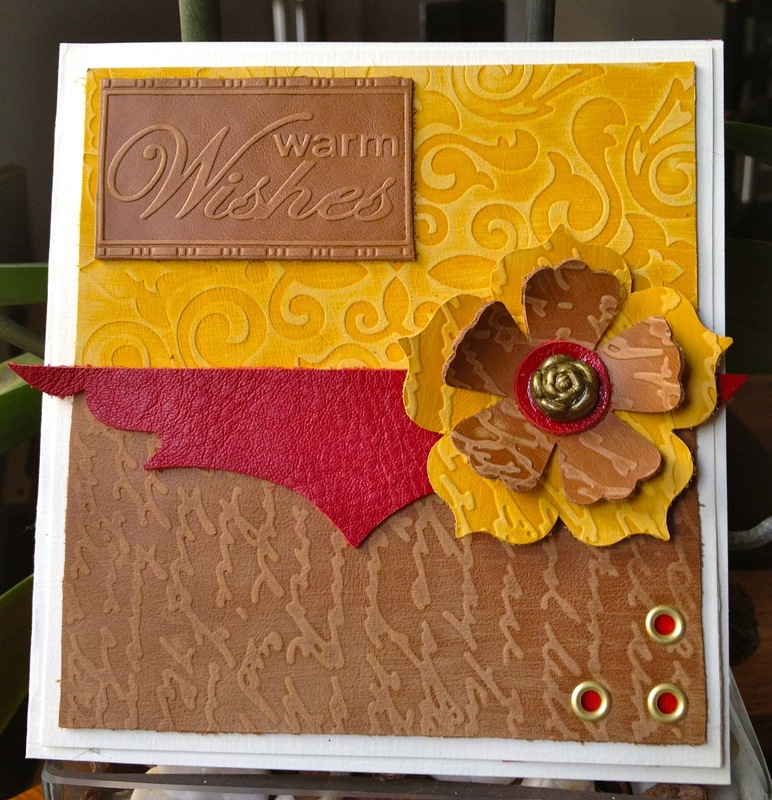 I have used some new Steampunk stamps for this card. I liked how they included flowers and butterflies. 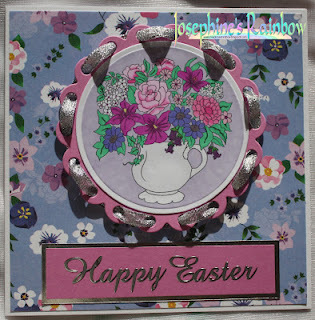 I used a paper napkin for the background and using Modge podge adhered it to heavy card stock. My cameo created the Easter scene . 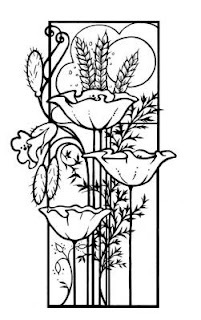 For more details on how I created this please pop by my blog. 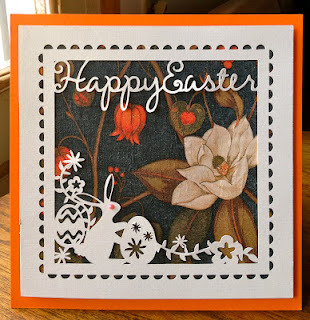 Image is from Sassy Cheryl and patterned paper is from First Edition. 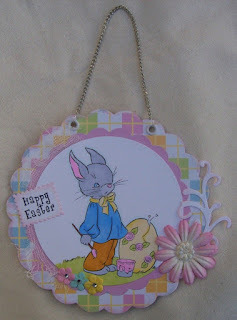 The font has cute bunnies and is perfect for Easter. I've used traditional Easter colours for my card. 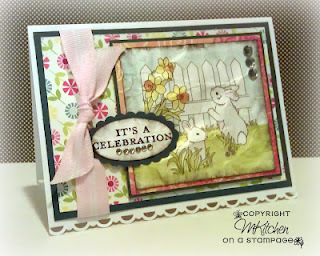 The image, papers & sentiment are all from the Forever Friends Spring Time range. 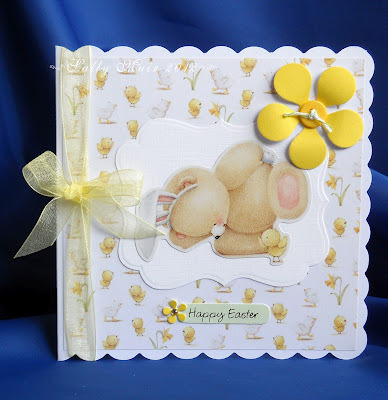 What could be nicer at Easter than a bunny with some eggs? I raided my stash for this card and the rubber stamped image was coloured in with promarkers. 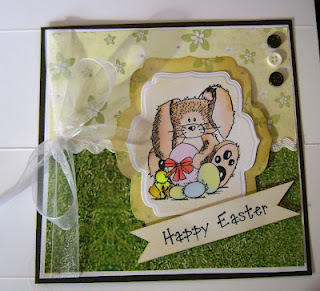 I don't usually make Easter cards so this was a good challenge for me. I bought this lovely Magnolia background with the intention of hiding the chick, but it works perfectly for an Easter card. I have made my tag using the Arty Farty "Christopher Cross" template on white Core'dination cardstock and Glitter card from Hobbycraft. The Picture of Jesus with lambs is from a free collage sheet I found online HERE . 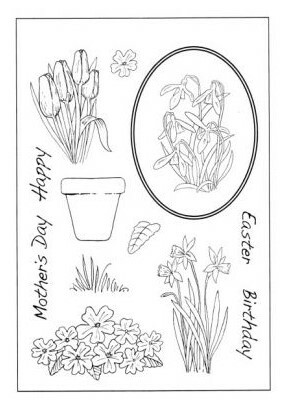 The Daffodils are from Wild Orchid Crafts. I used some decorative edge scissors for the outer cross and finally a little organza ribbon from my stash. Awesome Challenge and Beautiful DT Inspirations! Have a wonderful day! I'm excited about your Easter challenge but I Mr Linky's being mean tonight. I'll try again tomorrow. Lovely cards so far. 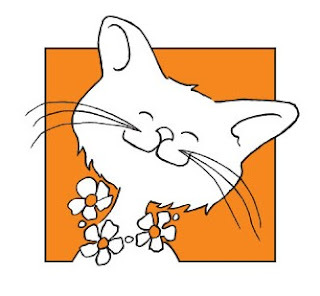 merci pour votre réponse et ces magnifiques challenges. 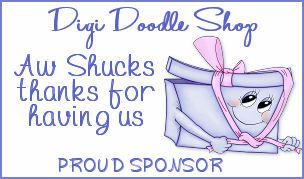 I have linked back to your site but it still won't let me post my card so here it is. Wow, the DT girls really have made some fine Easter creations alright! Love them, they're superb! 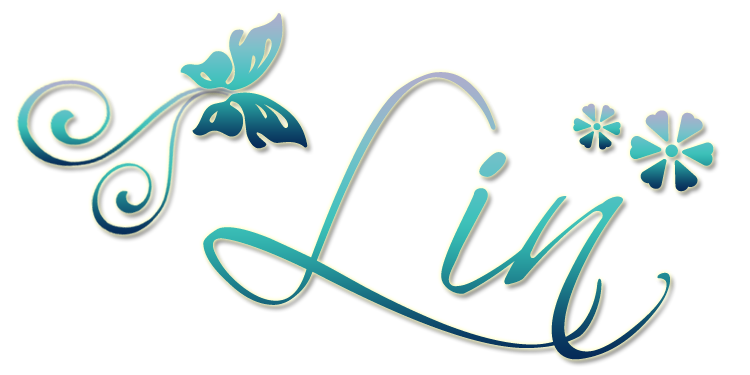 I'm having trouble with Mr. Linky, hope you girls don't mind my linking up like this? 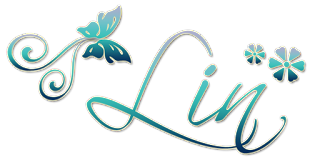 Since yesterday will use the froggy to put my work in your challenge... never had such troubles with Inlinkz, on every blog I can put my link in - why not here ???? Maybe you wanna visit and see ??? Love joining in with the challenge to make my cards for Easter! Thanks. Maybe Blogger was having a bad day! !